This is a fun corner bookmark (fits in the top corner of your page). 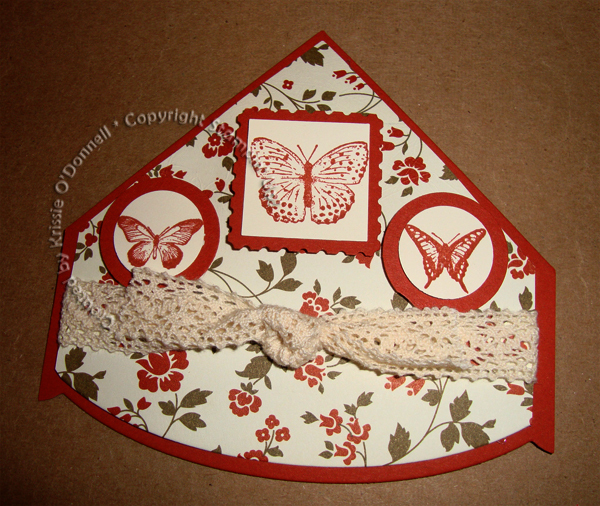 The directions to make this was in our demonstrator magazine Stampin’ Success in March. I used the edgelits to curve the end for a fancier look. Mary Fish had a great video tutorial, so click her name to go see it!